A campus of foreign embassies occupies this 47-acre, federally-owned hilltop property four miles northwest of central Washington, D.C. 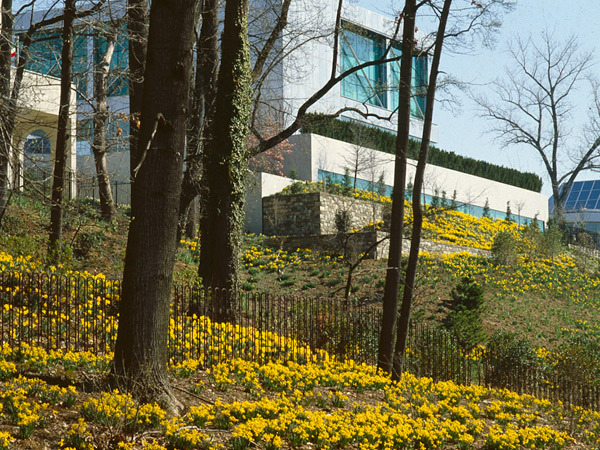 In the 1960s the State Department, addressing the need for more embassy space, segmented into 23 one-acre plots a generous tract of land previously occupied by the National Bureau of Standards. Embassy buildings were constructed over the course of the following decades, with inauguration of the Center taking place in 1972. 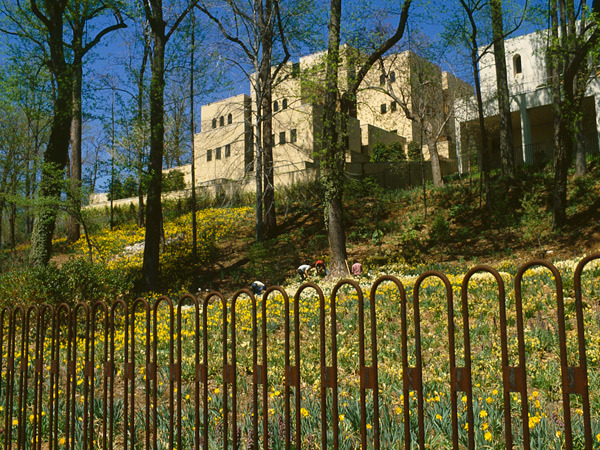 In response to a request made by the State Department, embassy buildings were designed in styles that seek to express the vernacular of their respective homelands. 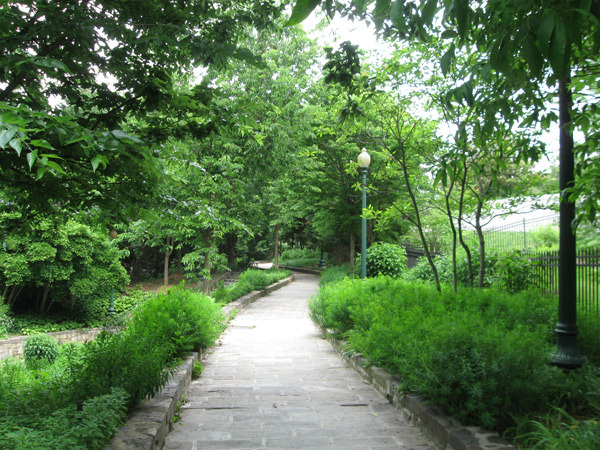 The curvilinear streets and cul-de-sacs within the campus integrate the unique array of buildings within its neighborhood setting while the landscape treatments help to unify the varied architectural forms. 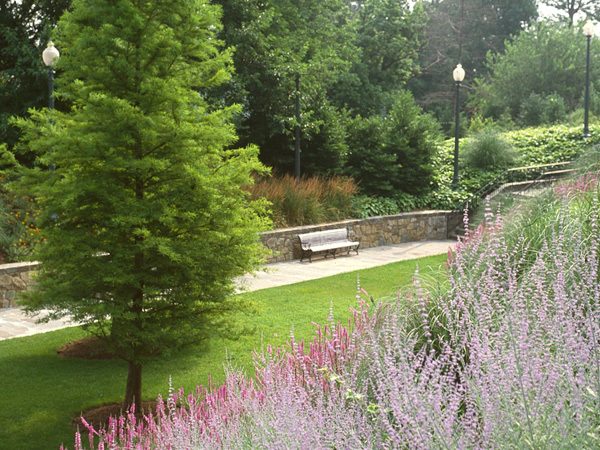 In the early 1970s, Oehme, van Sweden & Associates developed 28 acres of the site, eight of which were designated as public gardens. 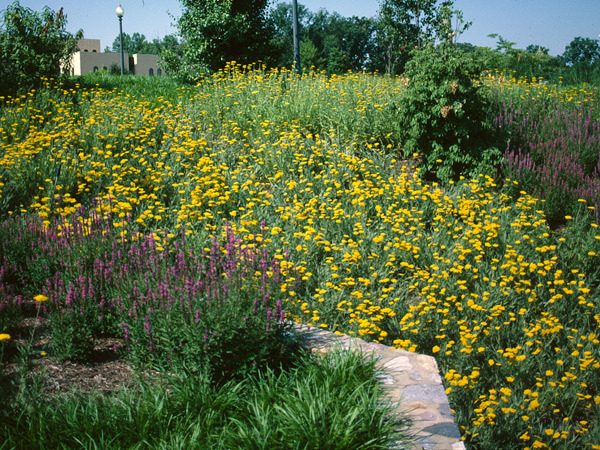 The firm defined three distinct areas: Within the southwest quadrant, naturalized clusters of perennials occupy a hillside underneath the shade of tulip and oak trees. 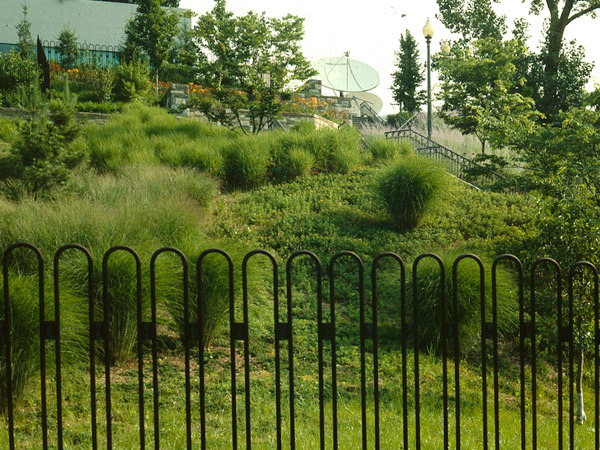 This lush, undulating hillside provides a buffer between the institutional complex and the contiguous residential neighborhoods to the south. The northwest quadrant similarly provides a buffer with residential Yuma Street and 36th Street NW. 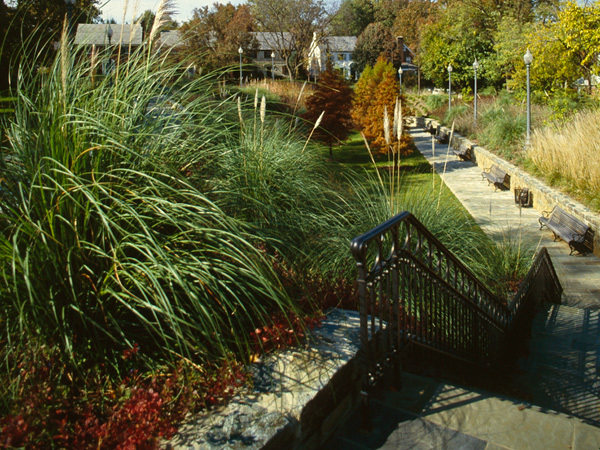 Taking the form of a sunken garden with perennials, grasses, and bald cypress trees, this quadrant also functions as a stormwater holding pond. 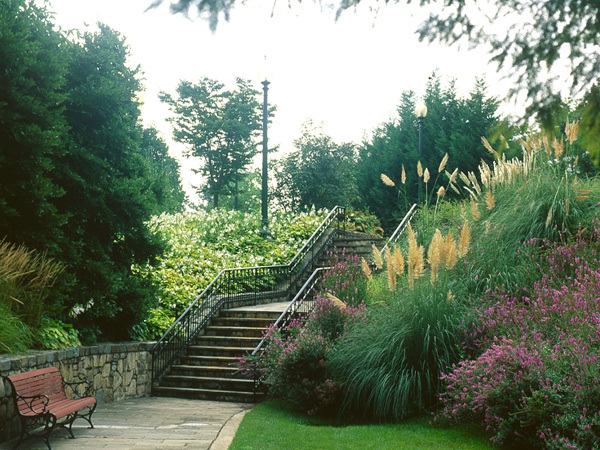 The central quadrant exhibits a higher degree of formality, comprising flowering plants, brick pathways, and the pre-existing retaining walls and stone staircase. The entire site is fenced by a weathered Corten steel fence that provides security in an elegant form.